Published June 27, 2017 at 1888 × 2762 in Painter 2018 Is Here! Check it out. 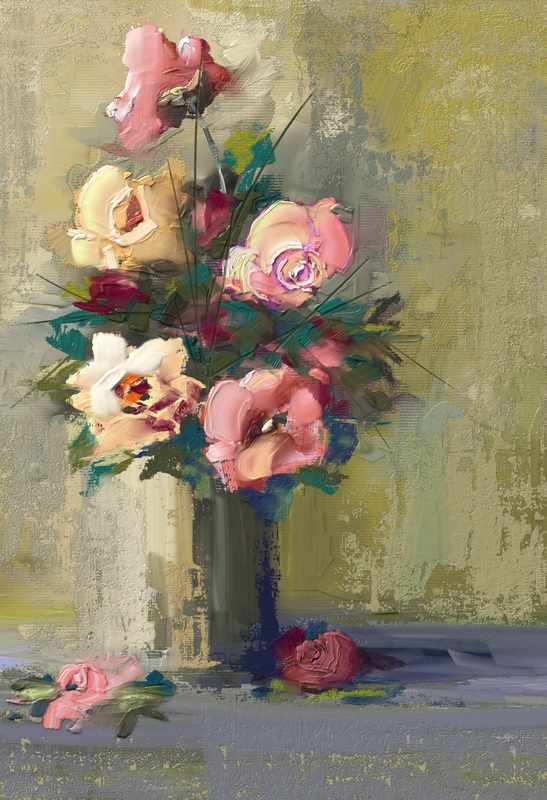 Skip…love your tutorials… but I have not found one for the above palette knife flower painting??? The only reason I updated was because I simply loved this image. I put a 3rd drive in with a system update and purchased Corel Painter 2018. I want to create similar painting like this using seagulls. Please advise…. I haven’t done any tutorials for painting with thick paint, yet, except for the class that is available currently and on going and linked in the blog post. I will do some, but it will be later. I don’t know if it will do one exactly like the above painting, but I’m sure it will be using palette knives.